When traveling, most people will keep some kind of checklist to run through before heading off to the airport, bus depot or train station. It's a great way to make sure all of the essentials are in one's bag before leaving home. With all of the essentials in tow, our excited traveler heads out to begin his or her journey, tossing that carefully packed bag into the cargo hold with dozens of others. Upon arrival, it's time to collect that bag! That nondescript, black bag...piled in with all the other nondescript, black, gray or dark-colored bags...oh boy. Too many people place a lot of emphasis on carefully packing their bags but forget about what's going to happen when they arrive at their destination and need to pick them up: which one is mine? Thus begins The Great Bag Search, where every bag that remotely resembles our excited traveler's is picked up and inspected in vain. 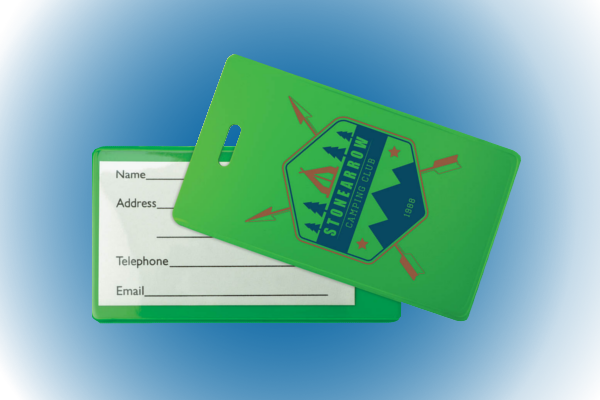 The latter represents a great opportunity for an organization to meet a common need while also promoting their brand by using custom-printed luggage tag holders.